Hotel Medes II represents the warm atmosphere in a special location. In a quiet area of the Estartit setting is only 200 m from the beach and the promenade and very close to the city center. In addition, the privileged situation of Estartit in the Costa Brava, in front of the Medes Islands and next to the Montgrí, Medes Islands and Baix Ter Natural Park, makes the hotel Medes II ideal to fully enjoy the catalan Mediterranean coast for both family vacations or group, as in the case of sports camps. Trying to provide all facilities and making you feel at home. 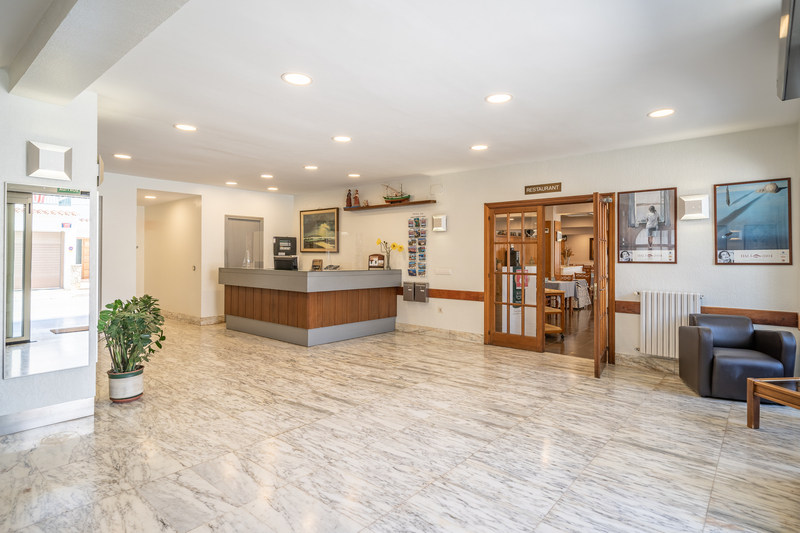 With this idea, and knowing that each customer may have specific needs and specific requirements in the Hotel Medes II we adapt ourselves to any kind of casuistry to your needs. Thus, for families we offer interconnecting rooms and rooms up to four beds, and all services for children and parents, as children's pools and a children's corner with games, stories and paintings. In the case of athletes, we have warehouses and garages for bicycles and diving equipment available to customers; reservation service of activities such as scuba diving, golf, sailing or cycling routes. And to assure maximum comfort and practicality, our restaurant always adapts to you: personalized diets, children's menus and crushed, flexible hours, varied dishes, and all along the Mediterranean cuisine.